Mission – Due to the extreme dry weather conditions, the District of Mission Fire/Rescue Service has declared a total ban on Open Burning within the boundaries of the District of Mission, effective noon, July 6th, 2017. The declared ban on Open Burning applies to ALL open burning devices including campfires and backyard fire pits. 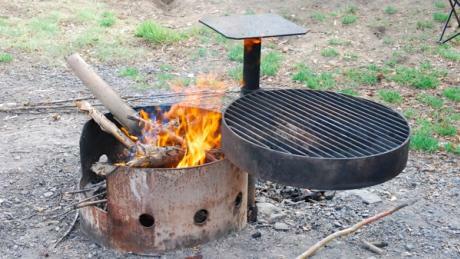 The ban does NOT apply to devices specifically designed and manufactured for the purpose of cooking (i.e.barbeques). For reasons of safety, the ban on burning within the District of Mission will remain in effect until further notice. Updates on this ban will be posted on the District’s website www.mission.ca. Be the first to comment on "Campfire/Open Fire Burn Ban In Mission"